As the International Baccalaureate (IB) celebrates its 50th anniversary in 2018, the IB is proud that its schools and teachers, in an ever-growing number of countries around the world, develop IB students to be internationally minded, courageous risk takers and critical thinkers. What started as an innovative experiment in 1968, has become an accepted and global standard of academically-rigorous learning, teaching and assessment. The IB is now taught to over 1.4 million students at almost 5,000 schools in 153 countries. 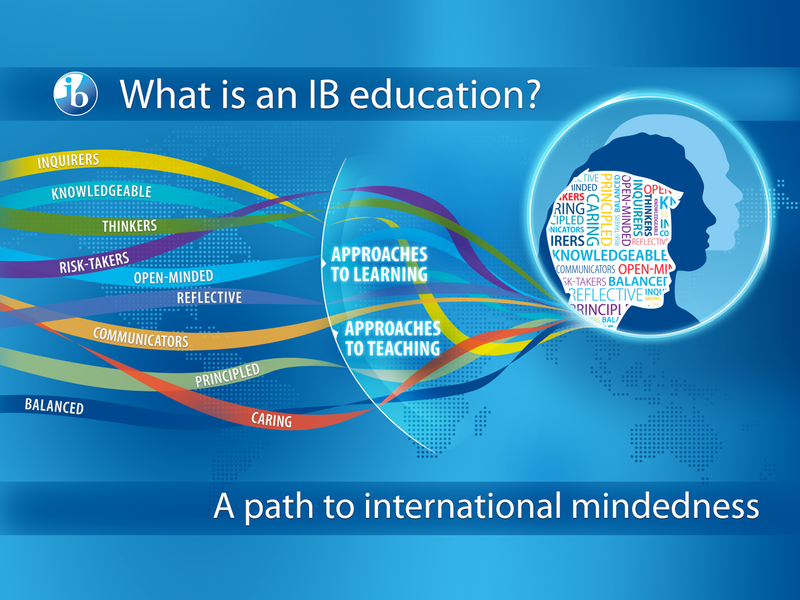 The IB is a worldwide community of students, educators and schools, with a shared mission to offer the best possible international education, combined with an emphasis on human values. The IB learner profile describes a broad range of human capacities and responsibilities that go beyond academic success, developing internationally minded people who recognize their common humanity and shared guardianship of the planet, and help to create a better and more peaceful world. Independent research shows, again and again, that IB students are better prepared for university and are more likely than non-IB graduates to stay enrolled and thrive. IB programmes and assessments evolve with the changing demands of information technology, global interconnectivity, higher education and employment. A recent study shows that IB Diploma Programme (DP) students are able to take multiple perspectives on the same issues, can play devil’s advocate, and are more comfortable with revising their positions. Another study showed that DP students are more academically independent and better adjusted to the rigour and expectations of college courses than non-IB graduates. Furthermore, the DP teaches them how to balance coursework and manage their time—skills that are also essential in their future careers. IB programmes encourage the type of “soft” skills—such as teamwork, communication, self-motivation, understanding communities and relationships—that employers look for. One component of the DP core is creativity, activity and service (CAS), which helps students undertake new challenges, learn to persevere and develop personal skills. A study on the Career-related Programme (CP) shows that the CP had affected students’ personal attitudes, such as professionalism and respect and had helped students to acquire a strong work ethic and collaborative skills. One associated skill that was highly valued by students was using networking to make career-related connections. These skills prepare students to live and work in an ever changing world with rapidly evolving technologies and many complex issues. DP graduates have a higher capacity for 21st century skills such as global mindedness, cultural sensitivity, problem-solving and critical thinking than non-IB graduates, as a recent study confirms. The skills that are needed to succeed in today and tomorrow’s modern society go beyond traditional academic content and disciplines. The ability of IB students to think and collaborate across countries, cultures and disciplines allows them to approach challenges in ways that truly make a difference, today—and in the future. The IB creates its own, internationally-benchmarked assessment to ensure that students are challenged to think critically, rather than simply being able to recall knowledge. The IB’s approach to assessment is widely recognized and respected: the best universities in the world actively seek out IB students, and the organization always stays true to its core mission—to assess what is important to measure, not what is easy to measure. The curricula are designed to allow teachers to be passionate about their subjects and focus students not only on content, but also on how they think and learn. The Primary Years Programme (PYP), for students aged 3 to 12, focuses on the development of the whole child as an inquirer, both in the classroom and in the world outside. The Middle Years Programme (MYP), for students aged 11 to 16, provides a framework of academic challenge that encourages students to embrace and understand the connections between subjects and the world around them, and to become critical and reflective thinkers. The Diploma Programme (DP), for students aged 16 to 19, is an academically challenging and balanced program of education with internal assessment and final examinations that prepares students for success at university and life beyond. The Career-related Programme (CP), for students aged 16-19, incorporates the educational principles, vision and learner profile of the IB into a unique offering that specifically addresses the needs of students who wish to engage in career-related education. CP students undertake a minimum of two DP courses and a career-related study which supports the programme’s academic strength and provides practical, real-world approaches to learning. The four IB programmes are currently offered in 4,871 IB World Schools, in 153 countries and territories— teaching more than 1.4 million students worldwide. The DP was the IB’s first programme, launched in 1968. 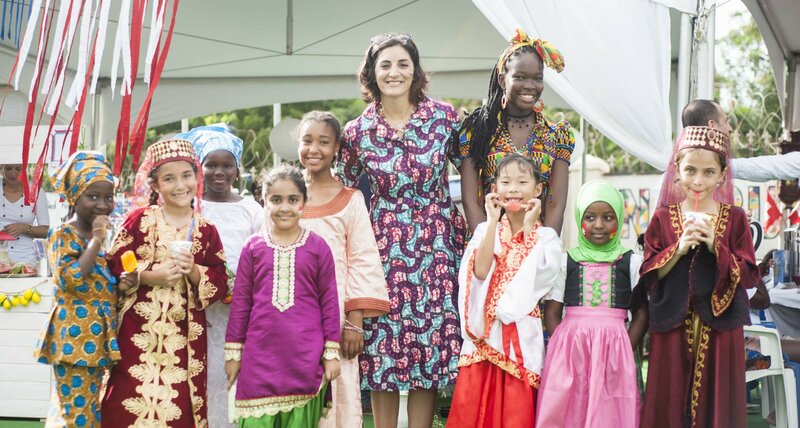 There are now 3,247 schools globally which offer the programme: 1,747 in the Americas, 563 in Asia-Pacific and 937 schools in the Africa, Europe and the Middle East (AEM) region. In 1994 the MYP was introduced and is now taught at 1,242 schools across the globe (271 in the AEM, 759 in the Americas and 212 in Asia-Pacific region). Two years later, in 1996, the IB launched the PYP. The PYP is currently offered at 1,587 schools worldwide (460 schools in Asia-Pacific, 346 schools in the AEM and in 781 in the Americas region). The fourth programme, the CP, was introduced in 2012 and counts a total of 182 schools across the three regions (10 in Asia-Pacific, 106 in the Americas and 66 in the AEM region). In 2017, nearly 177,000 students received their DP and CP exam results. IB programmes are taught at 4,871 schools across the globe with 2,895 schools in the Americas, 1,132 schools in AEM and 844 schools in Asia-Pacific.